The ABM 3210 Single String Guitar Bridges are used extensively in multi-scale instruments, using one bridge per string allows for complete freedom of scale length choice and string spacing when designing and building your guitars. 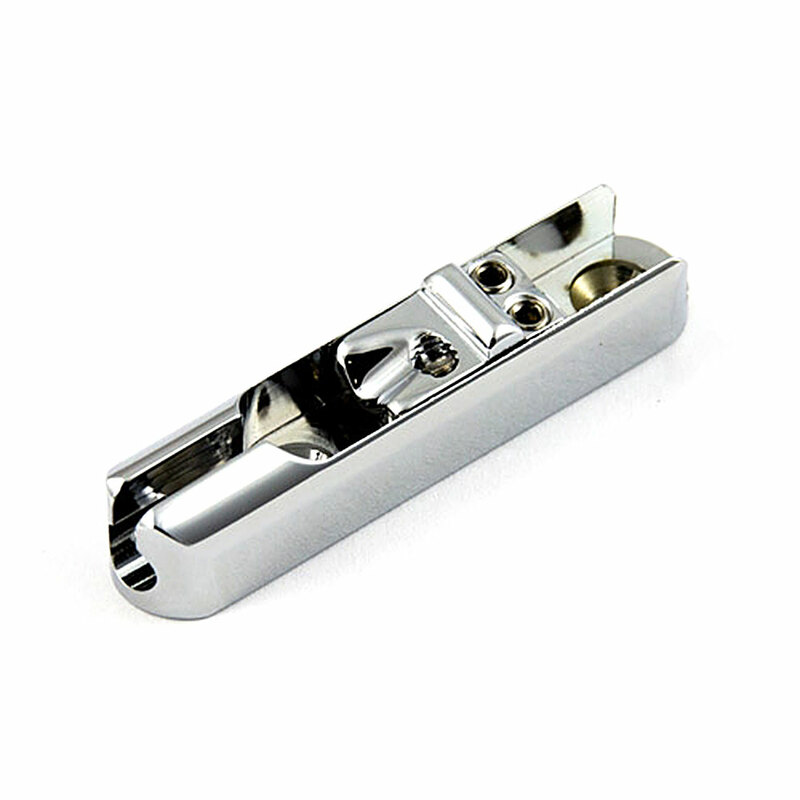 These good looking, premium quality bridges are machined from solid brass and the smooth edges sit well against the hand when palm muting. Within the bridge walls is a saddle block that can be moved forwards and backwards to adjust intonation and is height adjustable, a set screw locks the block in position once set. The saddles are unnotched to allow them to be slotted to the correct gauge for your guitar. The ABM 3210 bridges give you the choice of either top loading the strings through back of the bridge or mounting them through the guitar body for the tone you prefer. Priced per single bridge.